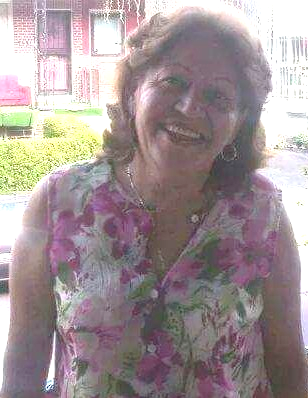 Obituary for Bienvenida Velazquez | Rodriguez Funeral Home, Inc.
Bienvenida Velazquez, age 70, passed away on Monday, October 22, 2018 in Philadelphia, Pennsylvania. She was born in Barranquitas, Puerto Rico. Beloved wife of Jose Orlando Velazquez; devoted daughter of Andrea Rodriguez and the late Erasmo Torres ;loving mother of Melissa Velazquez and Lynette Velazquez; sister of Nydia, Zacarias, Erasmo Jr. Francisco, Luz Nereida, Liz Grisel, Margarita, Ana Delia, Carmen Iris, Orlando, Reinaldo, Casilda, Esperanza and the late Luis Angel, the late Roberto and the late Mayo. She is also survived by grandchildren Julian Velazquez, Christopher Miller, Cynthia Miller, Kristina Miller, David Marshall and Kayden Marshall. Relatives and Friends are invited to her viewing Monday, October 29, 2018 from 6 pm to 9 pm at the Rodriguez Funeral Home, 1101 East Erie Ave (Corner of J Street & Erie Avenue), Philadelphia, PA 19124.